Aishwarya Vidya Raghunath, 21 year-old vocalist from Bangalore, “has the attitude to match her art”, remarked a critic three years ago, reviewing her concert. He also added that music was in her blood. As a youngster acknowledged in Chennai and elsewhere as possessing considerable talent, both statements ring true. When she sings, it is with effortless ease and total confidence. She exudes a cheerfulness that vibes well with the audience as with her pakkavadyam artists. Her music is unhurried, but the grip and tension that are the hallmarks of good concert quality music is present; the concert does not sag. Her singing is full-throated but not noisy. It is apparent to listeners that she enjoys her music – svanubhava, in other words. Aishwarya first learnt music from P.S. 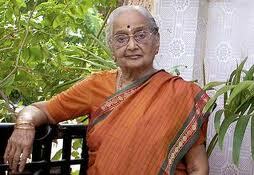 Vasantha and later from Seethalakshmi Venkatesan who is a widely respected guru in Bangalore. When she was only four-years old, she was taken to sing before the giants Semmangudi and M.S. 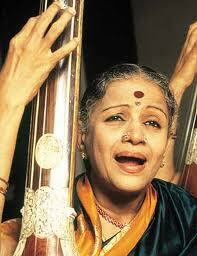 Subbulakshmi and both praised her prodigious talent. At ten years of age, she started undergoing training with vidwan P.S. Narayanaswamy and from seventeen, with Vegavahini Vijayaraghavan, daughter of T. Brinda, both based in Chennai. She also continues to learn from Seethalakshmi in Bangalore. Would not learning from three guru-s simultaneously cause confusion and difficulties? “No”, she says. “Both Seethalakshmi and PSN Sir are from Semmangudi’s hierarchy and who but Vega Amma for padam-s, javali-s and select kriti-s of the Dhanammal pathantaram?” Aishwarya is intelligent enough not to mix up styles, so no harm is done. She won the first prize in AIR competitions in 2008 and received a government scholarship to train under P.S. Narayanaswamy. She has also won prizes and awards from institutions in Bangalore and Chennai and has performed in major sabha-s in these cities as well as elsewhere in India. Academically, Aishwarya has graduated in engineering – biotechnology to be exact and is planning to pursue advanced studies in the subject with bias towards research. This, she hopes would leave her enough time to pursue what she loves most – music. 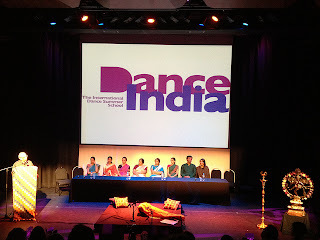 Milapfest’s annual camp-Dance India 2012 was a much awaited event. I was delighted to be one of the Bharatanatyam tutors (beginners level) along with Priyadarsini Govind (intermediate) and Leela Samson (Advanced). What a treat it was to have Kumudini Lakhia assisted by her senior disciples Prashanth Shah and Sanjukta Sinha for Kathak and Sujata Mahapatra for Odissi. This year was special for the Milapfest team led by Prashant Nayak and supported by Alok, Archana, Shyla, Pravinder, Yuvaraj and Lisa. It was the first year that Dance India and Music India– the week long residential camp for dancers and musicians respectively--overlapped. This meant double the work for Milapfest and double the excitement for the participants! We arrived in Liverpool a day before the camp began and settled into our hostel rooms at the beautiful Liverpool Hope University campus. I had expected more participants of Indian origin but was surprised to see that most of the dancers were Europeans who had learnt Indian classical dance forms in their respective countries over the years. During the first three days of the camp we were able to interact with musicians like Lalgudi GJR Krishnan, Gaurav Mazumdar, Kousic Sen, Anil Srinivasan,Shashank and RakeshChaurasia and managed to attend some of their lecture demonstrations and brilliant concerts. The highlight of the camp was the Indika Festival held for 11 nights. Every night we were treated to music and dance of the highest calibre. On some nights musicians performed together in various combinations in just the spirit of coming together artistically. 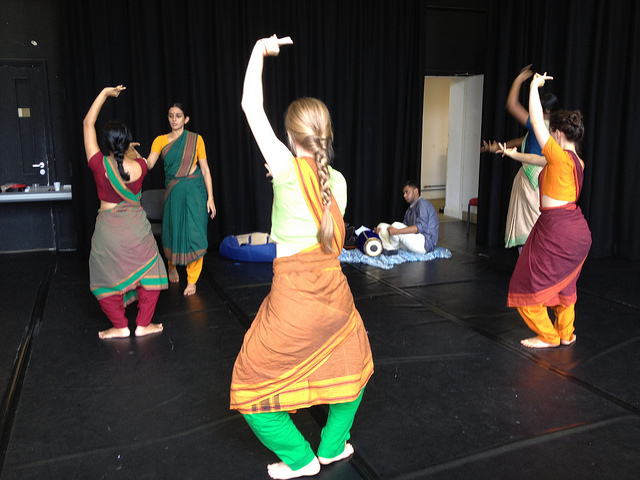 Dancers of different forms too came together to create magic for the students and art lovers present. It was not merely a display of artistic skill. These performances gave us a glimpse of the universality of each dance form that moves beyond its individual vocabulary to touch a common artistic chord. The students had a chance to see two more classical forms with Vyjayanthi Kashi and her talented daughter Prateeksha in a duo Kuchipudi presentation. Dr Deepti Omchery Bhalla performed Mohini Attam and gave a vocal recital. Milapfest also presented some of their talented students Arianna Ballabio, Lucretzia and Sooraj Subramaniam, recipients of scholarships to study in India. Milapfest’s vision for the performing arts includes finding opportunities for young artistes to support themselves in full time careers in the arts. The classes with the students were intense and aimed towards improving technique. Although each group was taught an item the idea of the camp is to strengthen their foundation and understanding of the art form. After the afternoon practice sessions, each tutor presented a lecture demonstration. The sessions were interactive and the students had a chance try out other dance styles. An early dinner at 6 pm was followed by a dance performance every night. At 9.30 pm, we trooped back to our rooms, more than ready for bed to get charged for the next day. Any illusions of sleeping late were dispelled the very first day. At 6 am Leela Akka and Priya Akka were ready in their jogging tracks and sneakers for a morning run! Any calories we lost we made up at the breakfast buffet. And so the days flashed by and before I knew it, the closing ceremony of Dance India had arrived. All the students performed their individual pieces and shared their experiences with the gathering. One thing common to the sharing by the students was the joy of being able to come together with fellow artistes and live, think and breathe dance. Milapfest was not just about going away with one more item in the dance bank – it gave an opportunity for artistes of every range and calibre to revitalize themselves. The synergy of the week only reaffirmed our faith in the magic and purpose of art. I looked at the sea of excited and happy faces in the auditorium and thanked my stars for my decision to be a dancer. Robert Edward Brown (1927 - 2005) was an ethnomusicologist credited with coining the term “world music”. He was also known for his recordings of music from Indonesia, which inspired several musicians to study Indonesian gamelan music. Brown grew up in Clinton, New York, studied music theory and piano at the Utica Conservatory. Playing the piano and organ and performing popular music with his own band Bobby Brown and His Swingsters through his youth, Brown started his doctoral studies at UCLA as a piano major in 1953. He eventually received a doctorate in ethnomusicology from UCLA. His dissertation was titled “The Mridanga: A Study of Drumming in South India.” In 1964, Brown founded the world music/ethnomusicology program at Wesleyan. One of the organizers of the American Society for Eastern Arts (ASEA), Brown also founded the Center for World Music in 1973. He remained president of the organization until his death and bequeathed his extensive collection of instruments, recordings, books, paintings and artefacts to the world music center at the University of Illinois at Urbana-Champaign. The Robert E. Brown Center for World Music opened in April 2008. How did the interest in Carnatic music take root in the West? Hindustani music spread there mainly through the efforts of Ravi Shankar and Ali Akbar Khan, though there had been others before them. Possibly the first Carnatic musician to make a major appearance in the US was the iconic vocalist MS Subbulakshmi. Her most celebrated concerts in America were at the United Nations General Assembly (1966) and Carnegie Hall (1967). The late James Rubin, a close associate of MS and her family, was an American who travelled to India several times to attend the annual music festival at Madras. Rubin, who, with the help of CV Narasimhan, Under-Secretary of the UN, arranged MS’s UN concert and two coast-to-coast tours of the US, donated his impressive collection of Indian classical—mainly Carnatic—music to the Archive of World Music, Eda Kuhn Loeb Music Library, Harvard College Library, Harvard University. There have been great musicians in India, acclaimed as prodigies, admired as geniuses, and hailed as pathfinders. But Subbulakshmi (1916-2004) was seen as a saint, a goddess, a celestial being. As her grandniece, and vocal accompanist for the last 16 years of her career, I have had the unenviable task of steering her out of milling crowds, everyone trying to touch her feet, some intoning “Lakshmi! Saraswati! Minakshi! Kamakshi!” Yes, these are the names of our goddesses! She triggered this kind of rapture in the big metros, in small towns and in remote villages, all over India. The listeners also heard and saw some clips from Subbulakshmi’s concerts including the UN concert, and were able to make an instant connection with the magic spell MS had cast on her American audiences of of 45 years ago. The Chennai connection of the multifaceted Americans I have mentioned here made them different from the general run of artists or experts devoted to a single genre or branch of music. Gowri and I came into contact with many of them, if only briefly, finding the interaction singularly rewarding. Among other things, we listened to one of Higgins’s last concerts at Chennai, at Sastri Hall, Luz, Mylapore, in which he proved to be a vastly improved singer from the impressive young bhagavatar of earlier times. But for his tragic death in a road accident, he might have gone on to achieve greatness in Carnatic music, though his own musical ambitions were perhaps not focused on kutcheri performances alone. (On a personal level, he attended our wedding in June 1970, and filmed it on his 16mm camera. We never saw the film). Matthew Allen became a personal friend—a charming and witty one—during his stay at Chennai; it is another matter that we may not agree with some of his conclusions about the history and politics of Bharatanatyam. James Rubin, a favourite of the younger members of the MS clan, was Rubin Mama to all of them. We still see David Reck around and occasionally get to listen to his veena recitals. No account of Americans interested in and performing Carnatic music can be complete without mention of the rising number of young Americans of Indian origin, born and brought up in the US--many of them speaking no Indian language--who are making rapid strides as musicians and dancers. The hugely popular festivals of south Indian classical music and dance such as the Cleveland and San Diego festivals annually showcase some of this outstanding talent along with some of the leading lights in the field from India. The dedication of these first generation Americans is to be seen to be believed. Gowri has worked in close collaboration with some of these youngsters in music, dance and theatrical productions and I have interacted with them in my capacity as editor of a magazine on the performing arts. We are both convinced that they are among the best products of Indo-American cooperation! Vocalist Nandita Ravi is a chip of the old block. This only child of Rama and S. Ravi continues the tradition that her mother has been guarding zealously for decades. Rama Ravi had direct tutelage under the redoubtable Brinda-Muktha sisters and their cousins T. Viswanathan and T. Sankaran, besides B. Rajam Iyer and D.K. 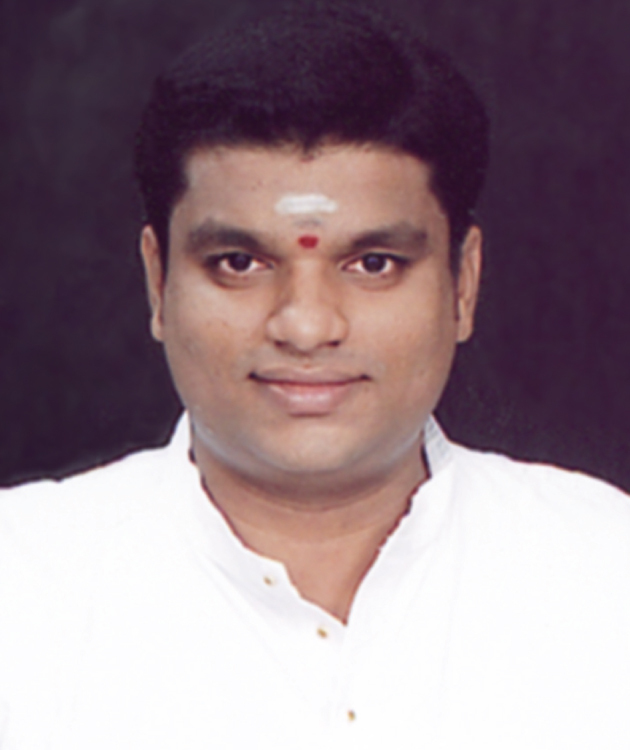 Jayaraman. If anything, Nandita has done even better. She has imbibed the distilled essence of all these masters from her mother, besides Sangita Kala Acharya (Bombay) S. Ramachandran, inheritor of the accumulated wisdom of the Dhanammal clan, and Sangita Kalanidhi-s Musiri Subramania Iyer, Chittoor Subramania Pillai and Tiruppamburam Swaminatha Pillai. What better pedigree would one want? She also learnt from the late D.K. Pattammal for a couple of years, the icing on the cake. Nandita is a late bloomer at a time when young musicians start to perform in their mid-teens. She gave her first public recital when she was 22 – at Sri Krishna Gana Sabha, Chennai. Well attended, the concert was a success (this writer too attended it) but the youngster did display a certain nervousness. Today, after many performances, she is still shy and somewhat laid back – traits largely absent in today’s youngsters. Nandita’s care till she was five was in the hands of her grandmother Tulasi Ammal (Rama’s mother), as Ravi, a Railway Officer did service in Zaire, Kolkata and Delhi after she was born. And at five, she had picked up sloka-s and simple songs from her grandmother. When the Ravis were in Kolkata, it was a very reluctant girl who joined her parents. But direct coaching by her mother and being present in her classes as she taught others was a boon to her. In Delhi, she trained with vidwan Gopalakrishnan. It is however in training under vidwan Bombay Ramachandran for ten years continuously that her horizon widened and her musical sensitivity flowered. From her mother too, she has learnt numerous padam-s and javali-s, besides kriti-s.
Nandita has performed solo and with her mother in concerts in India and abroad. As a solo vocalist, she is particularly popular in Kerala and Andhra, where she has given a number of concerts. She has won prizes for her performances in the Music Academy and Sri Krishna Gana Sabha. She is also a performer over AIR and some of her concerts are available over the Internet. She has a naturalness in her singing and her voice is exceedingly sweet in the tara sthayi. She sings in the higher octave while her mother sings in the lower one, a la sisters Brinda and Muktha. Academically good too (B.Sc. and M.C.A. ), Nandita worked for about two years in the computer education field, but in the dilemma over a career in computers and pursuit of music, music won. She followed up with M.A. (Music) in Queen Mary’s College and is now in the process of submitting her Ph.D. thesis on ‘Sanskrit composers of Dikshitar’s sishya parampara’, starting with Kumara Ettendra and Ambi Dikshitar and ending with Dr. V.V. Srivatsa. She has presented papers at IIT-Madras (Music of Syama Sastry), the Tamil Nadu National Music Conference at Chidambaram (Gopalakrishna Bharati), and an International Music Conference in Chennai (Sanskrit compositions of Tyagaraja). As a torchbearer of the Dhanammal bani, and a competent artist, does Nandita enjoy enough support from sabha-s? The answer, sadly is no; she certainly deserves much more. Nandita has been teaching music, with about 20 students now. Some have been with her for ten years. At least a few of them can be expected to remain true to the unique style and propagate it in the years to come. Nandita’s husband Vinod, a software engineer, is fully supportive of her endeavours. “I would have loved to hear John Coltrane explore the Pancharatna kritis,” said American writer Mike Marquesee, a man better known for his writings on politics and cricket. (The Pancharatna kritis referred to here are a suite of five songs of saint-composer Tyagaraja (1767-1847). Closer home, VS Narasimhan, an accomplished western classical violinist who has pioneered the performance of the great Carnatic music compositions by western musicians—his own Madras String Quartet—dreams of being around when symphony orchestras in Europe and America perform the masterpieces of Tyagaraja and other south Indian composers. Versatile musician Stan Scott may not remember belting out this jazz blues number at a Mylapore home some 25 years ago, but I was in the audience during that magical jam session in which another American musician-researcher Mathew Harp (yes, Harp) Allen played an equally active part. The day Dr. Scott arrived at Calcutta one day in the 1970s, he received the shocking news of the death of the guru he had come all the way from the USA to learn Hindustani music from. Earlier in the US, he had learnt vocal music from sarod maestro Ali Akbar Khan and Sushil Mukherjee, director of fine arts at a Massachusetts school. In India, his tutelage included lessons from gurus like Krishna Chandra Banerjee, Sugata Marjit and Mohan Singh (at Santi Niketan) in classical music, and Kali Das Gupta in folk music. His stint with Vidyadhar Vyas at Wesleyan University trained him in the Gwalior gharana (in addition to the Agra gharana he had already learnt) and led him to his PhD in Hindustani classical singing. Matthew Allen came to Chennai to learn padam singing from the family of T Balasaraswati—Bala to her admirers in two continents—descendant of the redoubtable Veenai Dhanammal. Like Stan Scott, he too was already a trained musician in a western genre before he ventured into learning the complex art of Indian classical music; he did so well enough to co-author a book on south Indian music with Bala’s brother, the incomparable flautist T. Viswanathan, who headed the ethnomusicology department at Wesleyan University, Connecticut. Allen has also written on padams and other dance music of south India as well as the recent history of bharatanatyam. It was with Jon Higgins that T. Viswanathan entered into his most enduring, productive collaboration. Born in Andover, Massachusetts, Higgins, a western classical vocalist who completed a double major in Music and History in 1962 and an M.A. in Musicology in 1964, from Wesleyan, earned a Ph.D. in Ethnomusicology in 1973. He founded the Indian music studies program at York University in Toronto with mridanga vidwan Trichy Sankaran in 1971, and returned to Wesleyan in 1978 as a professor of music and director of the center for the arts. Higgins had attended several concerts of Sankaran’s with Semmangudi Srinivasa Iyer, and seen him teach an American student of Viswa. Sankaran had earlier turned down an invitation from American mridanga student Robert Brown—who will figure later in this narrative—to join Wesleyan University as a research scholar. Sankaran was apprehensive about making any long-term commitment in view of his family responsibilities and fearful of jeopardizing a flourishing concert career in Madras. “I told Jon I would go only for a year or two. The rest is history!” remembers Sankaran, who has since made York University and Toronto his home, visiting Chennai annually during the music season, to perform, teach and do lecture-demonstrations. Viswa studied ethnomusicology at UCLA on a Fulbright scholarship from 1958 to 1960, and headed the Department of Music at Madras University from 1961 to 1966. He taught at UCLA and the California Institute of the Arts before joining the Wesleyan faculty in 1975, and earning his Ph.D. there. Training under Viswa, Higgins became the first non-Indian to perform South Indian classical Carnatic music at a high level of proficiency. Higgins continued his studies under Bala and wrote his dissertation on the dance music of bharatanatyam, returning to India as a Senior Research Fellow of the American Institute of Indian Studies, and making a name for himself in Carnatic music as Higgins Bhagavatar (A bhagavatar is an accomplished musician). Born in Rising Star, Texas, USA, in 1935, David Reck, a child prodigy in Western music, is a familiar figure in Carnatic music circles at Chennai. A Fellow at the Princeton Seminars in Advanced Musical Studies in the late 1950s, he pursued a successful career in New York as a composer with performances at Carnegie Hall, Lincoln Center, Town Hall, and Tanglewood. Drawn to Indian classical music and dance by the concerts of Ravi Shankar, Ali Akbar Khan, K.V. Narayanaswamy, Palghat Raghu, and others, he studied Indian philosophy, yoga, and Sanskrit. Coming to India in 1968 through a grant from the Rockefeller Arts Foundation, David and his wife, photographer Carol Reck, moved to Chennai, a life-changing decision. David studied Carnatic music theory and practice, specializing in playing the veena, an ancient string instrument—learning from Kalpakam Swaminathan among others—at the Central College of Carnatic Music. David Reck returned to the United States in 1971, earning a Ph.D. in World Music from Wesleyan University, and joining the faculty of Amherst College as professor of Music and Asian Studies. 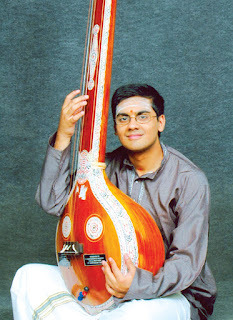 David Reck continued veena lessons in the US with Karaikudi S. Subramanian and in 1991 became a student of Ranganayaki Rajagopalan, a disciple of Karaikudi Sambasiva Iyer, Subramanian’s grandfather and ‘founder’ of the Karaikudi bani or school of veena music, under a grant from the American Institute of Indian Studies. He comes to Chennai regularly for veena practice as well as performances on the concert circuit, including kutcheris at the Music Academy. 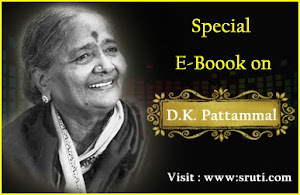 He is a well-known author of books and articles on Carnatic music. A survivor from cancer and a heart attack, Reck believes in the healing qualities of Carnatic music and the veena. In the early decades of the last century, Carnatic musicians were dispersed widely over Tamil Nadu as well as other states of south India but over the last seventy years or so, Chennai has become the most important centre for classical Carnatic music and a large majority of artists have shifted base hither for their livelihood. Bengaluru may come as a distant second in this regard to Chennai at present, but coastal Karnataka has not been quite the place for Carnatic music. This prompted Botany professor Aravinda Hebbar, father of Ranjani Hebbar, to found the sabha ‘Ragadhana’ in Udupi with a few like-minded persons. Set up 23 years ago, the sabha has hosted artists from all over Karnataka and Tamil Nadu as well as other places in India. As Aravinda and his wife Vasanthalakshmi are musically trained, Ranjani grew up in an environment of music. At the age of five, she could identity many raga-s. She is one among a handful of talented young vocalists to emerge from the Mangalore-Udupi area of Karnataka. Last year she married software engineer Guruprasad who was employed in Bangalore, but the couple have recently shifted to Chennai. 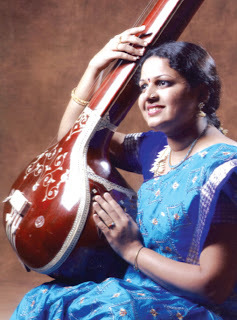 Initially trained by her parents and thereafter by vidwan Madhoor P. Balasubramaniam, Ranjani attracted the attention of vidushi S. Sowmya, during a concert she gave in the Udupi sabha. She requested Aravinda to send her to Chennai for training with her; Ranjani was only twelve then and the year was 1996. During vacations as well as long weekends, Ranjani travelled to Chennai and underwent tutelage from Sowmya. When she passed the plus-two exams in 1999, she shifted to Chennai to be close to her teacher and, in due course, make a career for herself. Not only did her music flower but her practice sessions in the hostel where she stayed attracted the attention of the late S.V. Krishnan of ‘Naada Inbam’ (situated just behind the hostel). SVK had offered opportunities for many talented artists to perform in his sabha and in no time, she found herself performing regularly at Raga Sudha Hall, the home of Naada Inbam. Concerts in other sabha-s followed. Academically, she has a B.Mus. from Queen Mary’s College and an M.A. (Music) from Madras University. 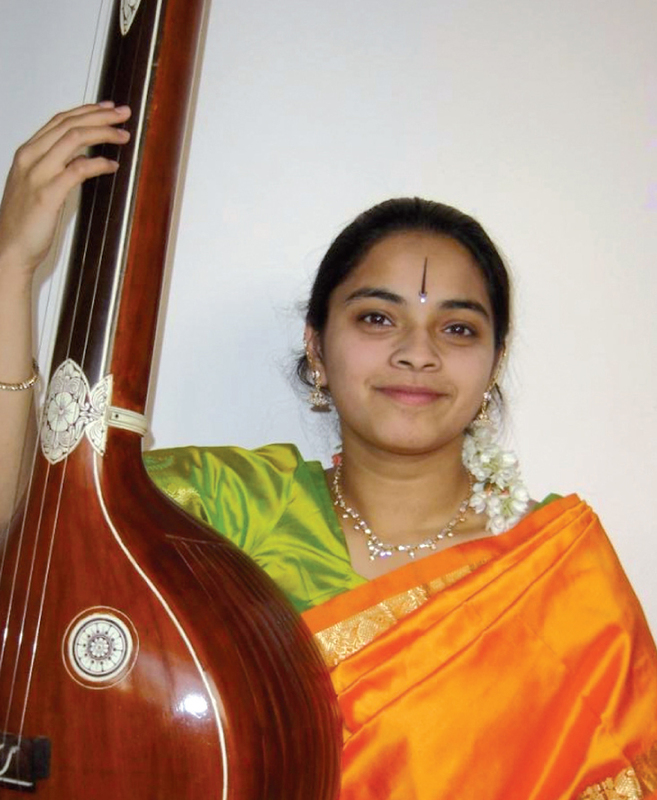 In 2002, Sowmya suggested that Ranjani learn also from vidwan Chingleput Ranganathan to hone her laya skills. This training has helped her to perform pallavi-s and include mathematical formulations in her concerts. She has taken care to ensure that such attempts do not intrude into the melodic aspect of her music as ‘alapana’ and ‘bhava’ have been most important to her. An exceedingly sweet and pliant voice, good control over sruti and laya, and a pleasant stage presence are her attributes. Starting her singing career at eleven, she has fifteen years of concert experience – she has sung three years in a row in the Music Academy, Madras. She has also sung in many sabha-s throughout India. She has received scholarships for an unbroken period of seven years from CCRT, Delhi, and the K.R. Sundaram Iyer Trust, as well as the HRD Fellowship of the Ministry of Culture of the Government of India. An ‘A’ grade vocalist of All India Radio and Doordarshan, she won the AIR music competition in 2000. The Kalki Krishnamurthy Award, 2007 was a prestigious honour and so have been the M.S. Subbulakshmi Award from Mysore and the D.K. Pattammal Award from Music Academy, Madras. ‘Isai Chudar’ and ‘Gaanamritadhaara’ are among the titles conferred on her. She was also among the teaching staff of the music school of the Academy. Apart from three CDs already released, her live concerts have been recorded by the Chennai based Charsur and are available on the web. Among her mentors, Ranjani mentions Vidwan T.R. Subramanyam, the late S.V. Krishnan and members of the K.R. Sundaram Iyer Trust. At 25, Kunnakkudi M. Balamuralikrishna has evolved into a talented young vocal artist, popular with rasika-s and sabha organisers alike. A relative of the late violin maestro Kunnakkudi Vaidyanathan, Bala’s paternal grandfather, Ramanatha Sastri was, besides being a ‘vaidika’, a musician who performed over AIR-Tiruchi. His father Meenakshisundaram is also a musician. He worked in Gemini Colour Laboratory for about ten years after which he has devoted all his time to teaching music in Tambaram and surrounding areas. Bala’s mother, a teacher of mathematics, can also play the veena. The musical ambience at home, sound training from his teachers, a robust voice, hard work and peer pressure have ensured that Balamuralikrishna is among the leading young musicians of today. The place name Kunnakudi was prefixed to young Balamuralikrishna’s name to clear the confusion created in the minds of concert-goers between him and Sangita Kalanidhi M. Balamuralikrishna, once the younger vidwan outgrew the “Master” tag attached to his name some four years ago. Bala started learning music at the age of seven, simultaneously from his father and Vidwan V. Sundaresan who taught him Dikshitar’s navavarana and navagraha kriti-s. After short stints with A. Sundaresan and Neyveli Santhanagopalan, he has been undergoing tutelage under the eminent teacher P.S. Narayanaswamy for over fourteen years. His long-time co-disciple under PSN is Abhishek Raghuram, another rising star. Their close friendship is marked by healthy rivalry. PSN is a broad-minded teacher. He does not compel his disciples to copy his style; instead he allows them to flower on their own, following their natural instincts and individual strengths. His role, apart from teaching kriti-s, includes pointing out deficiencies, grammatical or aesthetic, and suggesting improvements where necessary. Bala recalls that classes with his guru have never been time-bound and that he and Abhishek would sing swara-s and korvai-s alternately with the guru looking on, intruding only when necessary. Bala has matured steadily over the years and is now a musician in good demand. According to his father, he has already given over four hundred public concerts in a period of thirteen years. His made his debut at the age of twelve under the banner of the Semmangudi Srinivasa Iyer Trust. He has not looked back since. He has performed throughout India. He first visited the U.S.A. when he was just nineteen. Invited twice by the Cleveland Aradhana Committee, he has also been to Singapore, Australia, Sri Lanka and the middle-east on concert tours. Bala displays equal talent in all departments of vocal music – alapana, niraval, and swara-singing. His repertoire includes some rare kriti-s. His special strength however is in the laya department, which he displays abundantly while singing korvais and ragam-tanam-pallavi. 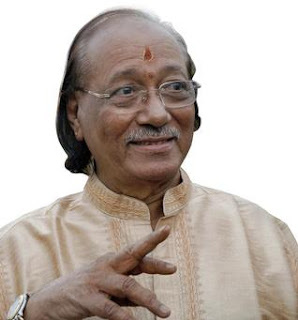 He underwent a year’s specialised training in pallavi-singing with vidwan B. Krishnamurthy under a scholarship instituted by the central Sangeet Natak Akademi. With his keen interest in laya, he studied mridanga under vidwan Karaikkudi Mani for over five years and is a competent mridanga player. However as vocal music is his first priority, his performances on mridanga are rare. Seniors such as T.K. Murthy, Umayalpuram Sivaraman, and Karaikkudi Mani have accompanied him on occasion in his vocal concerts. Bala has enjoyed his share of titles – Ganamritamani, Yuvakalajyoti, Yuva Kala Bharati, and the Young Star Award (2008). He is an asthana vidwan of the Kanchi Mutt. He has also won prizes and awards from various city sabha-s.
Bala has several cassettes and CDs released by major recording companies to his credit. He is a B-High artist of AIR. Each year, the Carnatic music scene in Chennai is enriched by the arrival of a score or more of talented young musicians in the performance circuit. Many are from Chennai, while a few are from other parts of Tamil Nadu, and other States as well. Other countries too contribute their share. Many of these young musicians are drawn from well-to-do middle class families; the legacy of successive generations of professional musicians has dwindled considerably. Many do not even have a family background in music. All of them pursue academics but have by themselves discovered the joys of music and have been hooked inexorably to it. One such young vocalist is 26-year old Prasanna Venkataraman, originally from Mumbai, who graduated in engineering from that city. An only child of his parents, he started learning the basics at the age of six from his mother’s friend Seethalakshmi, mother of Bombay Jayashri. After about two years of coaching she took him to T.R. Balamani, a teacher par excellence who has trained innumerable youngsters over the years. Many of them are performing artists today. He was with her till 2005, when Chennai, the centre of Carnatic music beckoned him. He took up M. Tech. in electrical engineering in IIT Madras, and simultaneously enrolled with Sangita Kalanidhi T.K. Govinda Rao who had taught Balamani many decades earlier. Govinda Rao was therefore his natural choice for his further training, but the remarkable success of Sanjay Subrahmanyan as a leading performer also attracted him. He did not find it strange or impractical to be studying under two guru-s whose musical instincts were quite different. Govinda Rao did not raise any objection, even though his own training method is quite orthodox. Prasanna adds that much of his systematic learning comes from the maestro, while his interaction is often informal and sporadic with Sanjay who has a very busy concert schedule. Sanjay helps him to conceptualise music presentation in concerts. As with many young musicians, Prasanna took many elements of music from his guru-s including their mannerisms! In fact, he had absorbed a whole lot of mannerisms of Sanjay, but during the past year and a half, he has consciously shed much of it. His music is bright and oriented towards musical values. His voice cannot be said to be powerful but has a mellowness and he sings at a respectable 2-kattai pitch. He is good in the laya department, but does not indulge too much in its intricacies at the cost of rakti. He has a large store of compositions, around four hundred. He is now concentrating on adding more kriti-s of Dikshitar to his repertoire. Prasanna works in a Chennai based company and manages to perform four or five concerts a month on the average. His mind is set on a purely professional career in music in the not too distant future. Meanwhile he wants to stabilize himself as a vocalist of merit. Even while in Mumbai, he had won top prizes in competitions held by various sabha-s like the Shanmukhananda Sabha, Mumbai Tamil Sangam and Music Triangle, as also the Pandit Digambar Paluskar award, all in Mumbai, as well as sabha-s in Chennai and Kolkata. In Chennai, he has won prizes in Krishna Gana Sabha, the Music Academy (three in all, one in the ‘Spirit of Youth’ festival and the others during the music season), Hamsadhwani, and IIT Madras and received the title Isai Chudar from Karthik Fine Arts. He has performed in all the metros and many tier two cities in India. If and when Prasanna makes up his mind to take up music as his sole profession, his future in the field is bound to be rosy. There is never a dull moment when the Narasimhacharis perform – whether they dance, do nattuvangam or present a lecdem. Their choreography is famous for intricate mathematical permutations and combinations, and sudden bursts of speedy footwork. It was no wonder that their lecture demonstration on “The splendour of Jatis in natya” for Natyarangam drew a sizeable audience at the Narada Gana Sabha mini hall on 16 September. Launching into the components and quality of jatis, M.V. Narasimhachari explained that a jati should be intricate, have built in pauses, create “bhramippu” (wonder), and the dancer must feel comfortable performing it – only then can it be effective. The person who creates the jati, the nattuvangam artist who recites the jati and the audience who watch the jati must be able to enjoy it, only then can there be rasotpatti. Variety in jatis, enunciation and voice modulation in their delivery also add to the build up of emotion in a dance performance. However, there is no need to throw your voice or adopt strange mannerisms and funny syllables while reciting jatis, advised Narasimhachari. Vasanthalakshmi recited the various jatis with élan and amazing grip – a perfect example of poise and aesthetic delivery. Students demonstrated simple and complicated jatis composed by the Narasimhacharis. Mridangist Guru Bharadwaj played intelligently – matching the footwork or the sollukattu as the situation demanded. The Narasimhacharis dealt with the tala dasa prana, kaala, kriya, tala anga, eduppu and yati patterns. The vishama yati gives you more freedom to experiment. A long karvai offers scope for creativity. Try out various permutations and combinations within a specific count. To add colour and pep, try to shift the emphasis from one syllable to another when the same phrase is repeated. When you conceive a trikala jati, first recite the third speed, find your comfort level and then proceed to compose in the appropriate slower speeds. There were so many useful tips for young aspiring nattuvanars and dance teachers. The lecdem provided interesting insights into composing jatis, their intricacies and nuances. Such sessions will not only help the dancer, but also the audience, to better understand and appreciate the nritta component of a dance recital. Twenty six-year old R. Sankaranarayanan, a talented mridangist, is the son of R. Ramani Bhagavatar, grandson of Papanasam Rajagopala Iyer – elder brother of Papanasam Sivan. Pozhichalur, a sleepy village near Pallavaram, a Chennai suburb, was a beehive of nama sankeertanam activities where more than a dozen famous bhagavatar-s would congregate frequently for long nama sankeertanam sessions. Sankaranarayanan was born in this village, in a house reverberating with devotional music. Initiation into bhajan-s when he was only three years old helped the boy develop purity of kalapramana, so essential in concerts. For about three years, Sankaranarayanan played on the dholki (essentially a North Indian instrument with free sruti). Once he had the good fortune of accompanying the Paramacharya of Kanchi for an abhang and was rewarded with a garland of cardamom worn by the sage himself! By the time he was eight, the child had been on an all-India tour with the devotional singer Pithukuli Murugadoss. Ramani’s bhagavatar friends advised him to teach his son the mridanga as his strokes were deft, fluent and resonant. Sankaranarayanan started his mridanga lessons under his paternal uncle Papanasam Kumar. When the latter joined AIR-Madurai, Sankaranarayanan continued his lessons under Melattur Balasubramania Bhagavatar and Pammal Krishnamurthy Iyer. Mridanga vidwan Srimushnam Raja Rao discovered the talent of Sankaranarayanan in 1992 and took him under his wing. He also persuaded Ramani Bhagavatar to shift to Chennai so that his son could learn and perform in the city. The family shifted to Chennai in 1996. Over the years, Sankaranarayanan has accompanied many stalwarts like vidwans M. Balamuralikrishna, T.V. 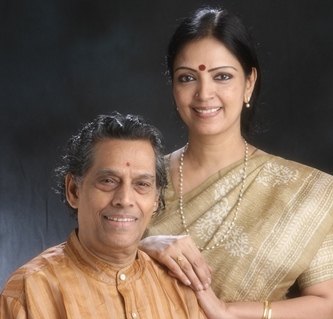 Sankaranarayanan, N. Ramani, T.V. Gopalakrishnan, Sikkil Sisters, and N. Ravikiran. Playing about fifteen to twenty concerts a month, he willingly accompanies junior musicians. Many artists specifically ask for his mridanga accompaniment. He has toured widely in India and in Australia and Singapore. Sankaranarayanan won the first prize in the National level mridanga competition of AIR in 2001 and was automatically awarded ‘B’ grade. Two years ago, he was upgraded to ‘A’, bypassing the intermediate ‘B-High’ grade, a rare feat. His awards and prizes include ‘Best junior mridanga artist’ from Mylapore Fine Arts Club (1999) and Sri Krishna Gana Sabha (2000), ‘Best young mridanga artist’ from Narada Gana Sabha (2003) and ‘Best Performer’ from Parthasarathy Swamy Sabha (2004). He also won ‘Gopinathan Endowment Award’ twice at the Music Academy (2000 and 2002) and ‘Umayalpuram Sivaraman Endowment Award’ from Indian Fine Arts Society (2007). His titles include ‘Mridanga Naadamani’ from the Kanchi Math (1996) and Yuva Kala Bharati from Bharat Kalachar (2007). Sankaranarayanan has cut a number of CDs playing for vocalist Savita Narasimhan and other disciples of Chitraveena Ravikiran. He is particularly close to his guru Raja Rao and Ravikiran because both are in the forefront in propagating Oothukadu Venkatasubba Iyer’s kriti-s. It was Sankaranarayanan’s grand uncle Papanasam Kunjumani Bhagavatar (disciple of Needamangalam Krishnamurthy Bhagavatar in the lineage of Venkata Kavi), who helped bring out the composer’s kriti-s in book form. Sankaranarayanan’s remarkable lineage can be traced to Papanasam Sivan on the one hand and Venkata Kavi on the other. A southpaw, Sankaranarayanan has a pleasing stage presence. His dexterity and clarity of strokes immediately grab the listener’s attention. Rather loud initially, he has mellowed down to an extent now. As he gains in concert experience, the soothing aspect should become more pronounced in the future. Like many other artists in the music field, Sankaranarayanan has pursued Sanskrit learning and is at present doing M.Phil. He is planning to proceed further to the Ph.D level. Sankaranarayanan’s all-time idol is the late mridanga and khanjra maestro Palani Subramania Pillai whose recordings he is never tried of hearing. The Music Bug bites many an unsuspecting victim and persons living abroad are not immune; in fact, the farther away they are from their motherland, the more deadly is the bite. A symptom is that the person so bitten forgets his or her environment – that he or she is in an alien country with the main aim of earning oodles of money; gets romantic ideas of going professional in music whatever the academic training; and imagines that the whole world is waiting for the arrival of the genius on the performing stage! Have we not heard it all before, the innumerable hopefuls dreaming of making it big in moviedom? And how many actually make it? Where does nineteen year-old vocalist Ramakrishnan Murthy of Irvine, California, U.S.A., fit into this scheme of things? He does not have much of a musical family background to boast of except that his mother and her sister were seriously interested in Carnatic music. His father acquired a taste for it only after marriage. Yet this ‘music-struck’ youngster has been making waves for about four years in Chennai and elsewhere in India too. He spends roughly four months in Chennai learning, attending concerts, and performing. He is a second year student of engineering in the University of California at Irvine, and in order to compensate for lost time in his school, he takes on additional credits each year. Listeners who have heard him once have been so bowled over that they keep searching the concert column in newspapers for his next performance, and then for yet another. 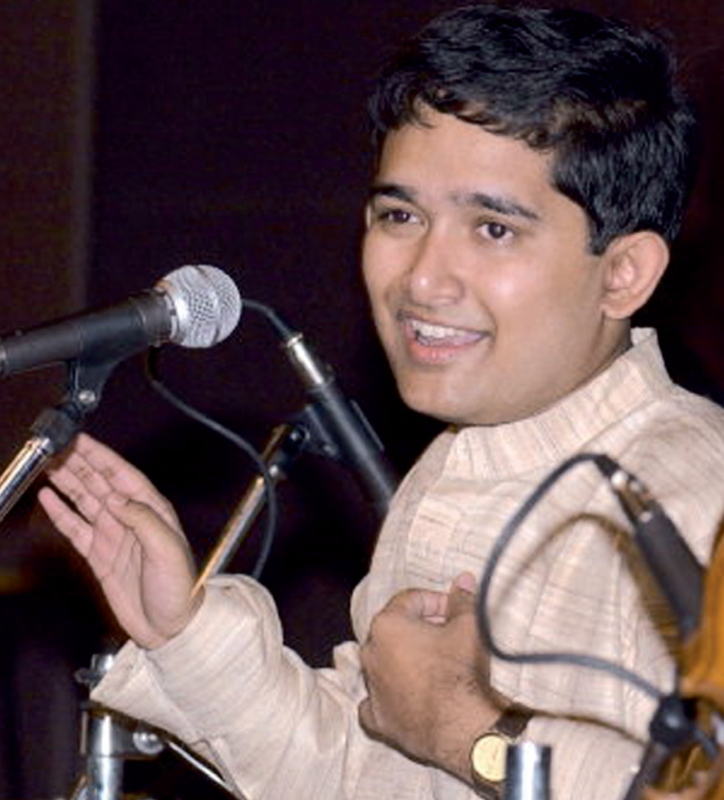 The youth brigade of violin and mridanga artists is keen to accompany him in as many concerts as possible. His guru Delhi Sundararajan dotes on him. At this point of time, he has over five hundred compositions under his belt of which varnam-s alone are fifty plus. His diet includes one kriti a day and on rare occasions, even two! He takes the liberty of recording his ‘classes’ so that he can ruminate over them later, if necessary. He never repeats the same compositions in closely spaced concerts. And he has in store compositions of most of the composers – old and modern – and the list is expanding. 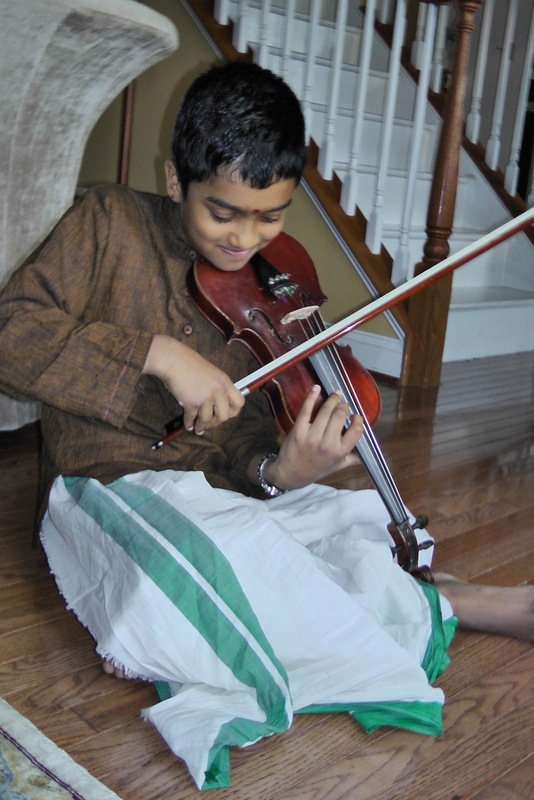 Ramakrishnan started learning music at the age of four (they all seem to do that – don’t they!) when his family was in Detroit, U.S.A., but evinced little interest in music. It was only when they shifted to Irvine and he started learning from Padma Kutty, a very competent vocalist and teacher there, that he took to music with interest and involvement. He was around six when he started attending her classes and over the next ten years, Padma laid a firm foundation for him. Her pathantara was authentic and he learnt many kriti-s from her. For raga delineation and kalpana swara-s, it was she who referred him to Delhi Sundararajan who, in 2001, was staying in Los Angeles for a few months and coaching a few students in violin and vocal music. He found Sundararajan’s singing awesome (“I was floored”, he says!) and decided then and there to become his regular student. As Sundararajan went to the U.S.A. every year for concerts and on teaching assignments, Ram’s musical skill flowered. He continues to learn from Sundararajan during his visits to India too. In order to expand his repertoire, he also learns from C.R. Vaidyanathan, a senior student of vidwan P.S. Narayanaswamy. He had the good fortune of learning from the late Vairamangalam Lakshminarayanan for two years. He has a fair number of recordings of old masters and his favourite musicians are the Alathur Brothers, Ramnad Krishnan, Semmangudi, T.M. Thiagarajan and sisters Brinda and Muktha. For him, the music of the last two is awe inspiring, especially the padam-s. His latest teacher for padam-s is Savita Narasimhan. As far as possible, Ram tries to learn directly from guru-s but once in a while, he has to dig into his collections, especially when he has to present a thematic concert and he does not have the required number of compositions to present in the allotted time. 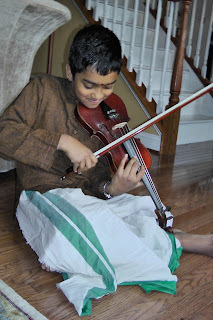 Ramakrishnan and his younger sister learnt to play the violin initially from Sundararajan, but Ram decide to concentrate on vocal music while his sister continues to learn both. Apart from his concerts in the U.S.A., he has performed in almost all major sabha-s in Chennai and won many prizes and awards, the most recent being the ‘Sangeeta Sri’ award from Rasika Ranjana Sabha, Tiruchi, in a competition in which no fewer than twenty five young musicians participated. Other first prizes and awards include the Musiri Subramania Iyer Endowment Award (2005), Maharajapuram Viswanatha Iyer Endowment Award (2006), a set of five prizes in various categories in the Music Academy (2007), the AIR competition (2007), and the best vocalist award in the Music Academy’s ‘Spirit of Youth’ festival (2008). He earned a full concert at the Cleveland Tyagaraja Aradhana festival in 2005, after winning the first prize in its vocal competition in 2003. As music absorbs all the spare time available to him, he does not have other interests and hobbies. He does however like the khanjira and tries his hand occasionally on it. The future of this gifted young vocalist certainly appears very bright. Payyada… Ayyayo Vegatayane… sang Geetha Raja, deeply immersed in the flow of Nadanamakriya. Though Kshetrayya’s padam reflected the nayika’s despair in the absence of Muvvagopala, the mood in the hall was upbeat and tinged with nostalgia. The occasion was the 90th birthday of Leela Sekhar. A small group of friends, relatives and well-wishers got together to felicitate the multifaceted woman – musician, organiser, social worker, vice-president of the South Madras Bharat Scouts and Guides, and chairperson of the Madras Council of the International Dance Alliance. A woman of grit who does things with passion and quiet dignity. In the small community hall of Aashiana in Chennai, a cosy stage was devised with a few sarees as backdrop. Geetha Raja, with vocal support from Jhanani Mahalingam, moved to and from jaunty javalis and slow paced padams – Ela radayane kamini, Niddirayil soppanattil, Bhaamaro, Nee mataley mayanura, Narimani, Ella arumaikalum and Smarasundaranguni. T.R. 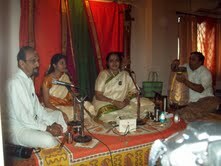 Murthy (flute) and Kallidaikurichi Sivakumar (mridanga) embellished her recital, playing with sensitivity and restraint. The chamber kutcheri kindled memories of a bygone era. Some rasikas recalled Brinda-Muktha’s music, while others whispered about how the sisters Sarojini and Leela used to sing as a duo several decades ago. At the end of the recital, the nonagenarian was greeted with cards, bouquets, shawls, and gifts. “I am overwhelmed, and what greater gift could I ask for than an evening of reposeful soulful music harking to the past!” said Leela Sekhar. T.R. Murthy (disciple of T. Viswanathan and close associate of the Bala family) recalled an incident at the Music Academy. Years ago, in a three-hour-concert, T. Balasaraswati danced Rama Rama pranasakhi – the dance and the music had been memorable – every member of the audience including MS Amma had been moved to tears. The vocalist then was none other than Leela Sekhar. As Bala’s vocal accompanist, Leela went to the US where she was spotted by Dr. Ben Somers, founder president of the New York-based IDA. He persuaded her to launch and head the Madras chapter. 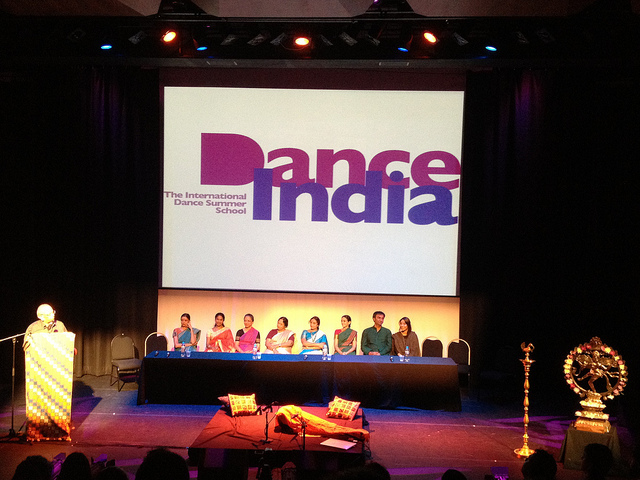 The first edition of the IDA involving top Bharatanatyam exponents in the city was a runaway success in 1987, and the organisation grew from strength to strength under Leela’s leadership. IDA programmes are a popular draw. Many of Leela’s IDA friends and associates were also present to greet the Grand Old Dame on her 90th birthday. The gathering had a sprinkling of some more veteran woman achievers like Mrs. YGP, Vyjayantimala Bali, Kalanidhi Narayanan and Mano Bhaktavatsalam – role models for the next generation. (Young Siddhartha has suffixed terms of respect to the names of all the musicians in this account; these may have been edited out for readability). The Music Forum in collaboration with the Indira Gandhi National Centre for the Arts made an Agastyan effort on 8 September to bring Hindustani maestros across the Vindhyas by holding a daylong seminar on the Hindustani and Carnatic music systems at the Madras Music Academy. Among the Hindustani musicians present were Ajay Chakraborti, Nayan Ghosh and Bikram Ghosh. The Carnatic musicians present were T.V. Gopalakrishnan, M Narmadha and Chitravina N Ravikiran. The moderators were Arvind Parikh and Ganesh Kumar. The panel was delighted to have in the audience Sangita Kalanidhi M.S.Gopalakrishnan who listened intently to the proceedings. The first question brought up was why North Indians do not listen to Carnatic music as much as South Indians do Hindustani music. Each musician expressed his or her opinion on the topic. Ajay Chakraborti said that everyone’s life was a mixture of tension and relaxation. He said that the sthithi on different notes and the emphasis on pure notes in Hindustani music bring about relaxation in the listener, whereas movement or gamaka on certain notes is the hallmark of the Carnatic system. North Indian listeners, he said, expect pure notes and do not have a comfort level with oscillations. He demonstrated the raga Kiravani in Hindustani, Carnatic and Jazz (jazz with Hindustani swarams was really intriguing, and if you heard him blindfolded, you would think he was a native of New Orleans). He showed the flavour of each system and stressed the predominance of complex oscillations in Carnatic music. This is why, he said, Carnatic music is not very appealing to the common untrained ear. Ravikiran countered this statement by saying oscillations are also indeed “pure” by nature. He said that it is almost impossible to imagine some ragas like Ahiri, Sahana and Kedaragowlai without gamaka. “The kampitam is a part of the image of the raga,” he said. E must know the amplitude and external limits of a gamaka. Some oscillations are so subtle they don’t even reach out to the next note. Ravikiran also demonstrated that by changing the way we oscillate the dhaivatam in Ritigowlai we can obtain the ragam Sriranjani. Dr. Narmadha discussed the contribution of MS Gopalakrishnan and the pioneering work of Parur Sundaram Iyer who brought Hindustani ideas into Carnatic music. The differences concerning elaboration were also discussed. “In Hindustani there is a ‘note to note’ type of elaboration but in Carnatic music there is more a ‘phrase to phrase’ elaboration.” Ravikiran said that ragas like Ahiri and Athana were extremely subtle. If these ragas are elaborated for more than three or four minutes in an alapana they become monotonous and literally collapse on to themselves. After a satisfying (and free) lunch provided by the Academy, the instrumental session commenced. It started with Nayanji (who is a leading artiste in two instruments - the tabla and the sitar) speaking about the various Hindustani instruments - supporting and solo. He discussed solo instruments like the rudraveena which is used to play the dhrupad style of music, tabla, and sitar. The supporting rhythmic instruments include the pakhawaj that accompanies dhrupad music and the tabla, which accompanies khayal music. He said that in a vocal concert, the rhythmic support is provided by the tabla and the melodic support by the sarangi or harmonium. However, for an instrumental performance there is no melodic support unlike in the Carnatic system. 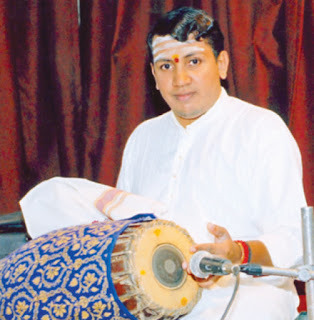 While in a typical Carnatic performance, the mridangam artiste plays a tani avartanam or at the end of the main piece, Nayanji said that in a Hindustani performance, the tabla gets smaller solos throughout the concert. These little solos are like answers to the main musician. The piece becomes a conversation between the main and supporting artiste, taking the aesthetics to higher and higher levels as the musical discussion progresses between the artistes. 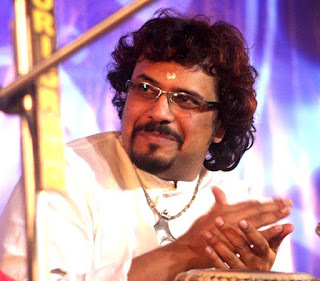 Nayanji said that the tabla must bring out the sentiment of the music in rhythm and inspire the main artiste to build the composition further. Otherwise, the tabla plays the teka or a standardized set of syllables for a taal, the equivalent of sarvalaghu in the Carnatic system. He said that a good tabla player needs to break the monotony of the rhythm and reinvigorate the music performance. “One of the most important jobs of the tabla is to display the vision of the main artiste,” he said. In the third session, the percussive systems of both Carnatic and Hindustani music were discussed. First, Bikram Ghosh systematically demonstrated compositions in tabla playing. In the North Indian system, there are six different tabla gharanas. He said the basic unit in Hindustani is the matra, while in Carnatic it is the akshara. For example, he said, teen taal consists of 16 matras and would be equivalent to 32 aksharas or 64 depending on the intricacies the artiste wants to showcase. Bikramji said that we see that the mridangam brings out more intricacies in percussion. Bikramji continued to discuss the types of compositions in a tabla solo repertoire. There are two types of compositions - a theme/ variation composition and a fixed composition. The peshkar, kaida and rela were the theme/variation style compositions discussed in detail. A peshkar has a set variety of bols or syllables with extended resonant sounds like dhin and dha. Many maestros have elaborated peshkars much like the alap in instrumental music. Nayanji contributed to this discussion and elaborated on some of Bikramji’s points. The kaida is a composition containing a limited number of bols and has two sections. In the bayan (left hand drum) uses an open sound in the former section and a closed sound in the latter. The reversal occurs in the middle of the matra cycle. Bikramji explained this khali-bhari or empty vs. filled concept. The cycle goes towards the bhari from a khali and returns. A progressional improvisation takes place here. Nayan Ghosh did a kaida with different levels of variations using a permutation and combination of bols. They also talked about the bund or locked kaida, a complex form which cannot be unlocked. The last theme composition discussed was the rela. This is played in a high speed. It is like a roll of bols bursting like a deluge. Here too we saw the khali and bhari technique employed as demonstrated by the artistes. Nayanji then said that fixed compositions are composed works that must be exactly reproduced from the composer. The first type discussed was the tukra. Bikramji demonstrated a tukra composed by his father. The gat, another fixed composition (which is more abstract) and the chakradhar were briefly discussed. Bikramji demonstrated a chakradhar by Feroz Khan. It was now the turn of the Carnatic vidwans. Vidwan T.V. Gopalakrishnan explained the nuances of south Indian percussion. He mentioned that Carnatic music did not contain a variety of gharanas as in North Indian music and the style was more or less homogeneous (with the Tanjavur and Palani schools often borrowing from and enriching each other). Along with Dr. Narmadha he demonstrated the varnam Valachi vaachi in two speeds to contrast passive and active mridangam playing- one to keep the beat and a second, which was a more active playing for the music of the varnam played by the violin. This informative and enjoyable seminar was wrapped up by an astounding tani avartanam by TVG Mama and Bikramji. It reminded me of the final rounds of fireworks in a Fourth of July celebration. The grand octogenarian played the mridangam with the vigour and sharpness of youth and was ably matched by his Hindustani counterpart. This fantastic rhythmic dialogue left the audience on the edge of their seats, open mouthed in amazement. On the stage, I noticed Music Academy’s logo - Saraswati sitting on a tilted lotus. An exhilarated Saraswati also seemed to be holding on to her lotus pedestal with all her might, as the rhythmic fireworks reached a crescendo. Although many differences between the systems were discussed including such subjects as the spiritual content of compositions, compositional structure, and percentage of vocal vs. instrumental performances in both systems, the panel unanimously agreed that the intent of both systems was to present the raga lakshana in its entirety, either through niraval, alapana and swaraprastara or an unembellished composition like Brovavamma (a Syama Sastri composition in Manji) which is so complete that it requires no embellishment by the performer. The discussion increased the understanding and appreciation of both systems and many lessons were learned from this debate. The panel asked for musicians and listeners to be more open minded. The Hindustani musicians wanted to incorporate the “putting of tala” to keep rhythm during lessons with students. Ajayji is already doing that with his students. Bikram Ghoshji incorporates mridangam arithmetic in his playing to give his tabla playing extra flavour and nuance. TVG sir said that Carnatic musicians could incorporate the aesthetics and delivery of Hindustani musicians. The North Indian musicians also appreciated the reverence to guru and tradition that the South Indians in general seem to have. The audience of course learned all of the above and one more important lesson: during the Q&A, a precise question posed without delay, is what keeps Dr. Pappu away (from abruptly stopping a babbling member of the audience). Once again, history happened in my life, yesterday. MS passed away. In a few weeks I will be 55, and, I know that from yesterday, life will be very different. I was introduced to MS, a few months before I was born. My father gave my mother a gramophone as a present to entertain herself as she waited for me to be born. In the extended family that lived in our house in Calcutta in 1949, the day began at around 6am with an MS ‘Meera’ song, and, ended around 11 at night with another MS song. This was much before music therapy was part of pre-natal training for expectant parents, and, contributed much to my sense of well-being and happiness as I sailed into the world. As I grew up, MS was all the music I knew. Till about the age of ten, I did not know that there were other singers, too. Every song I knew, “Odi vilayadu pappa…” a rendering of a Bharati song for children that my brothers gifted me on my fifth birthday which had on the other side, his proud patriotism rendered in MS’s voice Velli pani malai and Devai Tamizh nattinele were all part of the music that played at home. My elder brother, Gopu, who is now listening to MS sing live in another plane of existence, was a great music lover. I remember around 1962 his making a trip to Moore Market (Chennai-vasis, remember that institution?) to search for old 78s of MS that he did not have in his collection. MS was so integral to my life that she was there for all the joyous events of my life. When Lakshmi and I were expecting Geetu and later Sid, every morning started with a playing of MS reciting the Vishnu Sahasranamam. Her bhajans would float through the house whenever we could play them. When she sang Kabir, ‘Ja mukh Ram nahin woh mukh dhool bhari, you knew the conviction that Kabir brought to his life. Or the total surrender that she brought to ‘… Thakur tum sharanahi aayo. I never understood the intricacies of Carnatic ragas. Nevertheless to understand MS you did not need to know anything about music. You could just start making love as she sang Ghanashyam aaya ri or lose yourself in the love of Sakuntala and Dushyanta as you listened to the soulful songs from Sakuntalai. I have heard and seen MS seen, twice or thrice, live. The one occasion that remains etched in my memory is when she sang at the conclusion of a session of J. Krishnamurti’s talks at Vasanta Vihar in Chennai, one December, some thirty years ago. One could see that Krishnaji had moved beyond the confines of the mind as he sat transformed listening to the human nightingale sing. Sitting before me were two of my childhood heroes, Krishnaji, whose talks I did not understand but came attracted by a strange force, and, MS, whose music had nurtured me before I was born. The only individual missing was the hero of my political-social thought, Jawaharlal Nehru, Panditji. I shall go down and play that song for her. ‘Amma’, the Tamil word for mother, can mean many things depending upon the context in which it is used. Spiritually, it means ‘Taayaar’, the mother goddess. To twenty-seven year old vocalist Sumithra Vasudevan however, it invariably means her guru, vidushi Sangita Kalanidhi R. Vedavalli. Almost in every other sentence Sumithra speaks, there is a reference to ‘Amma’. In more ways than one, Sumithra has identified herself totally with her guru, at whose home she spends much of her spare time. Vedavalli’s late mother used to dote on her. Vedavalli’s husband, Santhanam still does. Musically, Sumithra is a clone of Vedavalli, providing vocal support in all her concerts. 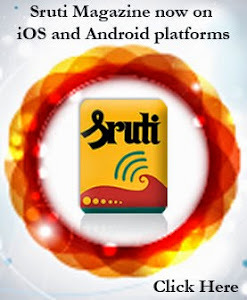 Although their natural sruti-s are quite different, Sumithra is able to accompany her guru without much effort. Exuberance is not part of Sumithra’s personality. There are neither flourishes nor exhibitionism in her music. She becomes so immersed in it that she seems to forget the audience in front of her! She makes no eye contact with the audience, although nowadays, she seems to recognise that there are accompanists sitting by her side and bestows a rare smile on them! For all that, her music is compelling and soothing at the same time. Never one to flaunt her wares, what she presents is however, solid, whether in melody or meter. She finds enough scope for manodharma in the pathantara of her guru without having to venture outside its boundaries. And, true to character, her only guru for more than twenty years has been Vedavalli, while most youngsters switch guru-s nearly as often as they change their attire! Sumithra’s steadfastness may be because of her realisation that her guru’s vast repertoire requires a lifetime to imbibe. Early inspiration was provided by Sumithra’s paternal grandmother Janakam Chari — a well known figure in Calcutta’s music and social circles and a disciple of Ananthakrishna Iyer (a highly respected guru belonging to the Dikshitar tradition) — and her grandfather, the late P.R. Chari, a connoisseur of music who settled down in Chennai. Sumithra’s mother Padmaja, with a bachelor’s degree in Sanskrit, is also well versed in music. She provided the early impetus for her musical career. By the time Sumithra turned seven, she had already started training with Vedavalli. It was a semi-gurukulam kind of arrangement, as she spent a major part of her off-school hours in her guru’s house. Indeed, during the summer vacation of 1990, her parents decided that she should spend all her waking hours in Vedavalli’s house as in the gurukulam format of yore, but she was so badly spoilt by her guru’s immediate family that they dared not repeat the experiment thereafter! As soon as Vedavalli felt that her disciple had attained enough maturity not to be influenced by the superficial aspects of music, but would, on the other hand, be able to absorb deeper values, she actively encouraged her to listen to the programmes of other musicians. Thus, Sumithra has attended workshops conducted by Nedunuri Krishnamurthy on Bhadrachala Ramadas and Annamacharya, and S. Rajaram on his grandfather Vasudevacharya’s kriti-s. She is now the recipient of a fellowship from the Sangeet Natak Akademi to learn with greater focus on ragam-tanam-pallavi with vidwan B. Krishnamurthy. 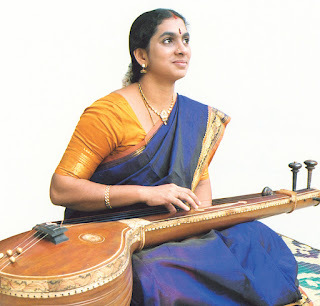 Sumithra has performed solo and with her guru all over India and also in the Middle East. Two concerts of hers, one at the Music Academy and another at the Narada Gana Sabha have enjoyed commercial releases as CDs. She has cut CDs on Devi kriti-s and songs on Krishna. A CD on Narayana Teertha’s compositions and another highlighting the raga-s Sree, Ranjani and Sreeranjani are in the music market. 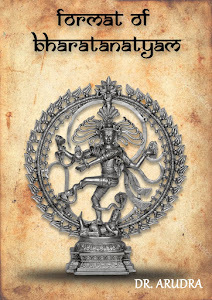 A double CD album on the stotra-s written by Dr. V. Raghavan, the Sanskrit scholar, has also been released. There are many more and in some of them, she has also composed the music. At present, she is a ‘B-high’ graded artist of AIR. Another side to Sumithra’s personality is her love of languages. She is passionate about Sanskrit (“I am at a loss to say whether I love music or Sanskrit more”, she confides!). After a B.A. in Sanskrit from Queen Mary’s College, Chennai, she did her Masters at Sri Venkateswara University, Tirupati. Her dream is to enrol for a doctorate. She secured an All-India first rank in the Sanskrit examination ‘Samartha’ conducted by the Samskrita Bhasha Pracharini Sabha, Chittoor. A regular participant in the activities of the Dr. Raghavan Centre for Performing Arts and Samskrita Ranga, she sings for their Sanskrit dramas and has set to music, poems of Mahakavi Kalidasa and presented them before Sanskrit gatherings. She has also presented research papers in seminars on music in ancient Sanskrit texts. She prefers Kalidasa and Bana over English novels as her reading material. She has also specialised in presenting the Nalayira Divya Prabandham, and presented exclusive concerts in these. She has sung Tevaram songs in concerts in their structured format. For someone with more than 500 compositions of various composers in her bag, she knows a fair number of Tamil songs too, including many less known composers like Papavinasa Mudaliar (whose only well known kriti vidwans sing is Nadamadi tirinda in Kambhoji). As a logical extension to music, she has also learnt the art of Harikatha from Kalyanapuram Aravamudachariar. 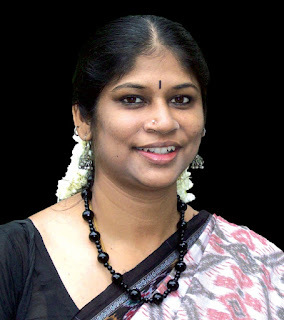 Sumithra has won many prizes and awards from sabha-s and institutions for her music. Some of the titles she has received include Nada Oli, Yuva Kala Jyoti, and Yuva Kala Bharati. She has been selected to receive the central Sangeet Natak Akademi’s “Ustad Bismillah Khan Yuva Puraskar Award” for the year 2008. She has been performing in the Music Academy in the sub-senior slot. Performing in the ‘November Fest, 2008’ organized by The Hindu is also a creditable achievement. Happily married to Vijay Madhavan, a Bhagavata Mela artist and a Bharatanatyam dancer trained by Chitra Visweswaran, Sumithra is the mother of two young boys. It is quite a mystery how this young achiever successfully manages so many activities with élan.